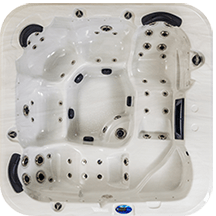 Arcadia Spas – designed to relax and replenish. Our advanced water cleaning systems removes the spa care nightmares. 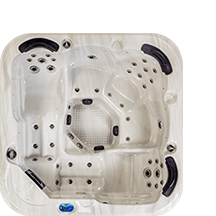 Arcadia spas are built from strong maintenance free materials so you spend more time relaxing and less time maintaining. Hi Graham, Thanks for update. Great work with your explanation of water chemistry. Your commitment to customer satisfaction allows Arcadia Spa owners the peace of mind to know they have made an excellent choice. Great value and service all round. 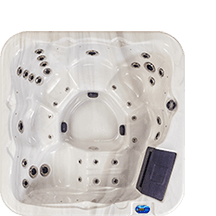 We have been spa pool owners for many years and when we moved recently we were able to get a new pool from 4 Seasons Christchurch. Mike was easy to talk to and his experience helped us enormously. 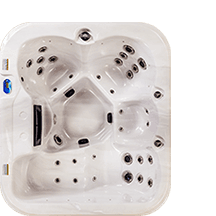 We chose a Tranquility spa from the Arcadia range as it looked great and was similar in size to our previous pool, the performance however is much more advanced and the running costs were remarkably less. Great value and service all round. ...the best in the market. I looked around for a good many weeks for a spa that gave me the best value for money. In the end, I chose an Arcadia as I was convinced that the build quality, warranty and features represented the best in the market. Mike at 4 Seasons Christchurch was wonderful to deal with and was able to answer all of my questions without hesitation.